Kilian created the new My Kind of Love fragrance collection, inspired by and created for young lovers. The collection consists of four unisex scents: Princess, Kissing, Boys and Adults, described as flirty, fun and free play, each fragrance has an bold statement, a truth or dare to love in your very own way. For today’s post, I’m going to show all the fragrances descriptions and review Kissing by Kilian Eau de Parfum in more detail. 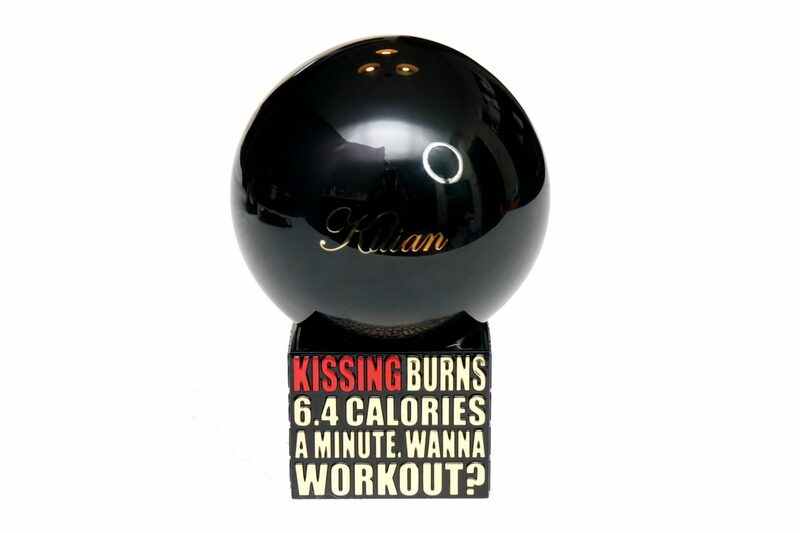 The Kilian My Kind of Love fragrance collection’s bottle is a glossy black sphere inspired by contemporary art. The bottle is standing on a pedestal with a playful phrase, having a different phrase for the four fragrances embossed in red and gold. The bottle is weighted so it feels heavy. I absolutely love the look of the bottle! The pedestal makes it so different and unique. The overall look and quality makes it feel very daring and super luxurious. The only downside is that you can’t see how much product is left inside the bottle. At first when I first spray on the perfume, I notice the scent being fresh but I can’t really distinguish Bergamot. This quickly changes into something more Floral. I’m usually not a floral type of person but I do really like this combination. For me, Lily of the Valley is more present than Rose, but I definitely can pick that scent up too. I actually think that the combinaton Green Notes make the scent less “overly floral”, which is probably why I like it. 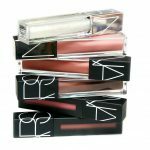 The base is very long lasting and I can notice the scent on my skin for the entire day. It has a beautiful warm and sweet scent, absolutely smells Sugary, Milky and the Vanilla scent is also nicely present. I’m absolutely obsessed by the Kissing by Kilian Eau de Parfum. I have to say that at first, I didn’t find the scent very interesting when I tried it on a sample card and actually preferred Adults. My opinion changed when I was wearing the Kissing on my skin for the first time. I think the base notes really came through when I was wearing the perfume and because I love warm and sweet scents, this became an absolute winner for me and I really can’t stop wearing it. Before the My Kind of Love fragrance collection came out, I knew the brand Kilian as an exclusive luxury brand with expensive perfumes. I was very excited to hear that the brand was branching out to bigger crowd by creating the collection however, people who are familiar with the brand probably find these fragrances a bit more simple than they’re used to, which is expected since their luxury perfumes usually go for double the price. 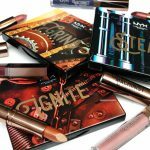 I still find each fragrance of this collection to stand out, very pleasurable and unique, so I would absolutely suggest to try out these fragrances (on your skin!) when you have the chance. The Kissing by Kilian Eau de Parfum, as well as the other fragrances of the My Kind of Love collection are available for €68,00 Euro/30 mL, €95,00 Euro/50 mL and €125,00 Euro/100 mL each, exclusively at Douglas.nl and Douglas stores. Which Kilian My Kind of Love fragrance would you like to try out? Heerlijk, die geurnoten! Ik ben dol op bergamot, jammer dat je die niet helemaal terug ruikt. De flacon is echt geweldig, trouwens! oh heerlijk ik hou van geuren met noten!